Amarandos Villas is a family run business, located in a place that offers a spectacular view and easy access to the sea. 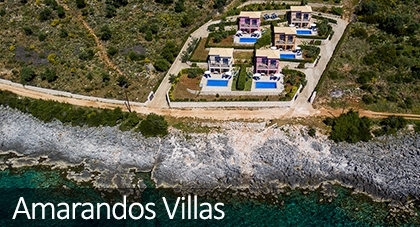 The villas are located to south part of Lefkada island, specifically in the area of Amousso. 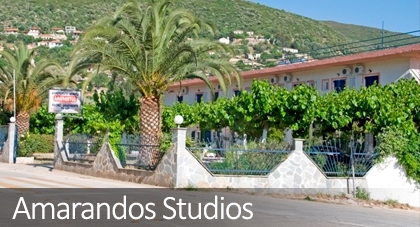 Amarandos Studios are located 5 km from the famous village of Vassiliki. Our accommodation consists of double rooms and apartments. The apartments can accommodate up to two people or a family of four. Watch an amazing video with all the beauties of Lefkada island and video from the lake at Marantochori! In Lefkada are some of the best beaches in the Mediterranean and Europe. Click here to view photos from the beaches of Lefkada!